"Get Instant Access to Everything You Need to Create Beautiful Macrame Projects!" If you are reading this letter, then it is likely that you have a passion. You have a passion for macrame. The problem is, it's nearly impossible to find contemporary patterns meant for today, not 1970. You waste time messing around with hard to understand instructions that leave out critical information and end up with deformed creations that you'd never show anyone. You might have quit because you got your measurements all wrong and your pieces turned out horribly! You Time on Your Next Macrame Project…"
Here's the BIG problem: Macrame instructions and patterns are hard to find, out of date, and often what you do find is complete garbage. Why? Macrame books and magazines are all old and outdated. It's very difficult to find contemporary macrame patterns and information. Often what you do find, the instructions don't make sense, the patterns leave ouT critical information, and often skip important details. No wonder learning macrame seemed so hard! The truth is, I have spent a ton of time looking online and reading books and magazines. Most of them just left me with more questions than answers. The Faster & Easier Way to Macrame! Well, luckily for you, these problems become a blessing in disguise because I have spent the last two years to put together a comprehensive guide to macrame with a clear, detailed step-by-step system that works. Color illustrations for each knot with easy to follow step-by-step instructions. These knot instructions will make it easy to create the beautiful pieces you have in mind. The guide is laid out in a very easy to read format, filled with helpful hints and useful tricks to save you time, money and frustration, so you can get to the fun part more quickly! This guide is great for macramé enthusiasts of all skill levels, whether you are just starting out or a seasoned pro. I used to love macrame when I was younger, but now that I'm older I found it impossible to find good resources for macrame. Everything was out of date and uninspiring. I was able to find bits and pieces here and there, but only after spending many fruitless hours searching online-it was very frustrating! I have done the hard work for you, so you don't have to. Now you can get right to the fun part, as this treasure trove of macrame patterns and resources is available instantly. "Wow, and another wow, and thank-you Melissa"
I have struggled so much to find a Macrame book or information that gives me clear instructions on how to make plant hangers, and the one I made from your book looks so good in my house. And I used the book to help me with suppliers, what was the best yarn to use and so much more, this really is as you say....a one stop shop! Many thanks, your book rocks. "At last, this book was just what I needed"
At last, this book was just what I needed to get me underway with Macrame, I have never done it before and was worried about how difficult it might be. And its easy!!! And fun. I am loving it, and I can't wait to get stuck into some of your more advanced patterns. I'm a very happy customer, thank-you. "I just love your jewelry patterns, thank you!" I just love your jewelry patterns, thank you! I wanted to create some beautiful pieces of jewelry using macrame and I am so happy with the results. Your book really inspired me. "Until now it has been so hard to find information on Macrame from one source." Until now it has been so hard to find information on Macrame from one source. I would take bits from here and there, so whilst the quality in some areas was good, it was time consuming, and sometimes incomplete with what I could find. So thank-you. I LOVE the One Stop Macrame Shop, and I look forward to your next book coming out, as I want to start selling my Macrame to people other than my friends and family. "There's Nothing Else Like it on the market today..."
That's a statement I do not make lightly. But as I mentioned earlier, I've thoroughly researched the market and all competing products. Truth is, I've been a crafter for most of my life, and I haven't found anything like this, all-in-one easy to use reference guide. No longer will you have to scour the internet trying to find answers to all your questions, look up instructions for creating different styles of knots (and hope the instructions are correct!). It's enough frustrations to cause you to give up. And how many times have you had THAT happen before, where you just gave up on a project Because you didn't have the answers you needed to complete it. Simply, every section in this book, every topic we cover, every idea we put forth is because "you asked for it". Well, not "you" really. Everything in this book comes from live questions. Questions from people like you, who love Macrame and want to know more about it. Who have questions that currently they cannot find answers for, easily, in one place. Along with a team of people to help me, we researched, resourced, explored and obtained the answers to your specific questions. And being Macrame Lovers ourselves, we felt even more strongly to provide an Outstanding guide that would leave you with a huge grin on your face, and excited fingers ready to get knotting. Our aim was simple...to please you...to give you something that was abundantly useful and answered the many questions relating to Macrame that you might have. From how to get started right through to how to market the things that you make. Learn how to macrame quickly and easily! How surprisingly easy it is for the Absolute Beginner to create works of art, with patterns for you to get you started. Discover what the best kind of rope to use is, depending on the design (as the saying goes...different strokes for different ropes). The techniques that make your work all the same size and line up (yes no more 'deformed' looking creations!). Find out about which Knots to use and when...(and allow yourself the freedom for your creativity to flow). Clear and Accurate Instructions on how to begin. When the instructions say...fold and tie in a half knot....we'll tell you what part of the string to fold (we know you are not mind readers, so we spell out and show you how to do a knot)! Pictures, Pictures, Pictures along with the instructions - visually see how to do the knot! Cool projects that appeal to every age (purses, keychains, hammock, swinging chairs, wall hangings...you name it...we got it!). Learn How to Market your Macrame, how to display and sell the things you make (if you really like this section...we are thinking of making another guide devoted to this topic alone, let us know your thoughts!). Find out more about Cavandoli Macrame and learn how to do free form. Know once and for all how long to cut your cords, so that they come out to the size plant holder that you want! How to make Macrame look more Contemporary (we'll show you ways to bring it up with the times and today's style). Learn what is the best way to blend colors when using cord and beads (and learn how to trust your own creative eye for color and form). Finally, clear instructions on how to create wonderful plant hangers for yourself or for others. Get knotted, again and again, with lots of knot types for you to practice and play with (there are more than what you may think, with the old faithfuls also being able to be used in a variety of manners). Patterns galore!!! Discover new, exciting, contemporary and classic patterns shown to you in photo form with easy to follow instructions (there is just SO much you can make from Macrame!). Learn how to make a beaded Macrame Dog Collar (so your pet is the smartest pooch on the block!). Illustrated basic instructions so you can get started using the basic knotting techniques (and of course it won't be long before you are wanting to stretch your wings for more....which you will find here in this book too!). Find out what kind of hemp to buy for your Macrame project (so if you make a necklace it won't be itchy!). Learn what size of material you should use so as to enclose and support large hanging house plants that hang from the ceiling (as it could be very messy otherwise, I know!). Plenty of patterns for plant hangers, for you to follow step by step with stunning results (for the more adventurous, it can be fun to combine a couple of patterns to best suit your tastes). Find out how to know how much cord you will need for a project and how to choose the right cord. Teenagers will love you! Make them a hemp bracelet from one of our contemporary patterns catering to the teen market (why limit it to teens either?!). Sources offered for where you can order your yarn, rings, beads and all other Macrame related products. Learn the best way to add on cords (this is not as difficult as it may sound!). More ideas, more patterns, more instructions, for interesting things for you to make with Macrame (whether you like the traditional look and feel or wanting something more contemporary). I Don't Need to Hear More…Let Me Order Contemporary Macrame Right Away! So how much would it help to know the answers to your own questions and more? Wouldn't you be able to enjoy, explore and create with Macrame more and more, knowing that you have a resource guide that you can turn to when a question comes up for you? That's why you should own this book today (in fact you can be reading it in as little as 5 minutes from now!). Macrame and jewelry making go hand in hand. Learn how to incorporate beading into your jewelry projects and patterns to create beautiful one of a kind designs. Have you ever thought about selling your macrame pieces or other crafts? Learn the secrets to starting your own craft business in this completely free guide. Learn time management tips from the masters, so you can enjoy yourcrafting time while still managing to balance the needs of home, family, cooking, cleaning and so forth. Macrame time is for YOU, so make sure you know how to make sure there is always time for you. I would love to say there are other resources out there that offer the same, and I sincerely hope that more books like this are created....as being 'hungry for information Macrame Lovers', we want information, we want patterns, we want lists of material suppliers, we want ideas, we want to give light to our creativity........ so here's to competition. Currently though, there is NOTHING being offered to you like this book, NOTHING. 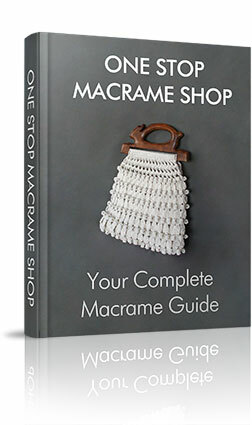 As this is the "One Stop Macrame Shop" Book, all 79 pages of it! There are books just on Patterns. There are websites that offer you Instructions. You can find Suppliers by hunting around. Yes, you can find information on Macrame yourself, if you spend your valuable time, going through the phone book, doing internet searches, asking friends, going to classes - over time you can find out SOME of this information. And then you can patch it together for yourself. The "One Stop Macrame Shop" brings all you want to know about Macrame and more to you for only $37.77 (imagine 130 pages for only $37.77!). And even more importantly I am offering you this price because I love Macrame and I want others to also enjoy it as much as I do and spread the word. And don't worry, if you are not happy with the content you have a complete money back guarantee. Don't Say Yes. Just Say "Maybe" & Give It a RISK FREE Test Drive for a full 60 Days! Macrame Lovers has proven itself to thousands of happy customers and I proudly stand behind my product. 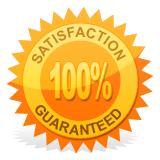 Safely order today with our Iron-Clad Guarantee. I honestly believe in my product, and I know there is nothing else like it available today. The Contemporary Macrame Guide has proven itself again and again. It's time for you to get in on this great offer. If, for any reason, within 60 days of purchase you feel that this product is not for you, simply let me know I will refund every penny of your money with no questions asked. Heck, I'll even let you keep all the bonuses-on the house! But Melissa, How Much Does This Cost? How much would you pay to take any and all headaches out of creating beautiful macrame pieces the fast and easy way? 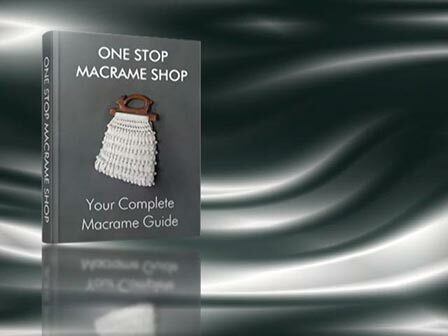 "One Stop Macrame Shop" Guide has proven itself again and again. With hundreds of happy users, you simply cannot go wrong. Only $199 $99 $67 $37! Thats right. Your investment for the entire guide is only $37 (this launch offer will close in 3 days ) And when we reach that point, I'll withdraw this offer immediately and not apologize for it. This special offer will close in just 2 days from now and you won't be able to get in at this price after that even if you want to. Once I start receiving more testimonials, I'm going to raise the price accordingly. You can join the hundreds of hobbyists, beginners, crafters and professionals by letting The "One Stop Macrame Shop" Guide give you the patterns, the suppliers, the tips and tricks, the knot tying techniques and step-by-step instructions to create stunning macrame projects almost effortlessly. Ebooks come to you in pdf format and should be downloaded within 5 seconds onto your computer. NOTE: We use ClickBank to process all orders. ClickBank utilizes the strongest security and anti-fraud features available on the Internet and never stores your financial data on their system! Your credit card is passed directly to the bank and no one but the bank has access to your sensitive information. They are also approved by the Better Business Bureau.